I don't know about y'all but I'm still having a hard time believing it's already August. We are already 8 months into the new year. Before we know it it's gonna be December 31st and we'll be saying hello to 2017. One of my goals for 2016 was to read 50 books and I'm happy to report that I am 60% through with my goal. I've read 30 books thus far. I'm actually hoping/planning to surpass that goal but we'll see if that happens with school starting next week. Today I'm sharing the 5 books I read in July. Technically the last one I read in August but I don't want to wait until September to review it so I'm throwing it in with my July books. Goodreads Synopsis: HER PERFECT LIFE IS A PERFECT LIE. My thoughts: I had so many thoughts going through my head while reading this book. But it's hard to really get into them in a review without giving away some major plot points. And as I'm trying to write this I'm having trouble getting my thoughts worked out anyway. Which NEVER happens for me with books. I either like it or I don't, there is rarely gray area for me when it comes to books. But I just don't know about this one. I want to say I liked it but then again I HATED TifAni. Absolutely hated her. I felt bad for her a couple times but I hated how she treated her fiancé, I hated how judgmental and bitchy she was and I HATED that she wanted everyone to pronounce her name AH-ni rather than Annie. I rolled my eyes every time she corrected someone in the book. I will say I was shocked and riveted when the big twist was revealed. It was probably my favorite part of the book to read because I wasn't expecting it to happen the way it did. Which if you know what the reveal is, you're probably thinking, "Oh my gosh, what is wrong with you." But in my opinion it was the most well written part. Anyway, I need to know if anyone has read it. Because literally NO ONE I know in "real-life" has read it so I haven't been able to talk about it/hash out all my feelings about it. Until now. So if you've read it PLEASE tell me what you thought! Goodreads Synopsis: Alone . . . Massachusetts State Trooper Bobby Dodge watches a tense hostage standoff unfold through the scope of his sniper rifle. Just across the street, in wealthy Back Bay, Boston, an armed man has barricaded himself with his wife and child. The man’s finger tightens on the trigger and Dodge has only a split second to react . . . and forever pay the consequences. My thoughts: My blogging buddy, Ashley from The Wandering Weekenders, was an angel a few months back and gave me her Nook login so I could read another book. Well she has got a gold mind on that thing. Because I've found so many titles in her library that I thought I had died and gone to book heaven for a while. Any who, while I was browsing I found this book. And the synopsis alone had me hooked. Plus I was in the mood for a thriller so this fit the bill. It kept me guessing, it held my attention, and I was surprised with the end. All in all a good read for me. I enjoyed it. If you're in the mood for a thriller, pick this one up! In fact I liked it so much I decided to find another book by the same author. And thus found the next book! Goodreads Synopsis: One question, a split-second decision, and Brian Darby lies dead on the kitchen floor. His wife, state police trooper Tessa Leoni, claims to have shot him in self-defense, and bears the bruises to back up her tale. For veteran detective D. D. Warren it should be an open-and-shut case. But where is their six-year-old daughter? My thoughts: I think I liked this one slightly more than Alone if I'm honest. I loved the main character Tessa. She was intense, likable, and a total badass in the end. I loved the twist in the story and had no idea things were gonna go the way they did. I also loved that the two characters I really loved from Alone were major players in this book too. And I'm pretty sure Lisa Gardner has more books with Tessa as one of the main characters. 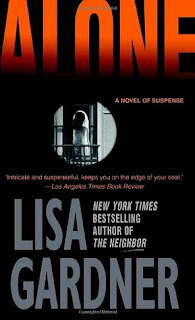 It was an easy read and again if you're looking for a thriller, read this one. I can see myself reading a few of Lisa Gardner's books in the future. 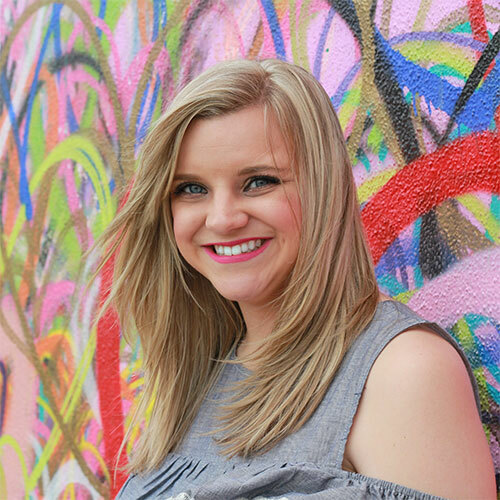 Goodreads Synopsis: She stole a life. Now she must pay with her heart. My thoughts: I am a huge fan of Sarah J. Maas's other book series, Throne of Glass. 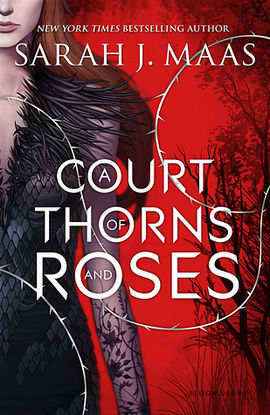 And when I heard that she had started another series based on the Beauty and the Beast story but in a faerie world, I knew that eventually I would have to read it. And y'all it did NOT disappoint. After having read 3 contemporary books I was ready to get back into the fantasy realm anyway. The story was very well thought out. I loved picking up all the Beauty and the Beast references and I really liked the way she melded it with her own world of humans and faeries. I will say that this series is much more graphic when it comes to the love scenes. And at first I was little shocked and put off because I thought it was a YA novel. All I kept thinking was, " I would NOT let/suggest any of my 8th-10th graders read this." But then I found out that this is actually supposed to be part of a newer genre that is being called "New Adult". So that made me feel a little but better but I did notice that it's still in the YA section in bookstores. I just know I don't think I would let my child read this if she was in middle school or even early high school. I'm excited to read the second in the series. But I'm waiting a little bit because Sarah J. Maas is currently writing the 3rd book and I know I'll want to read it right away. Although I'm not sure how much longer I can wait. I wanna know what happens next! There was the beginnings of a love triangle towards the end of the first one and I love me a good love triangle! This was probably my favorite read of July! My thoughts: First I want to say there WILL BE SPOILERS!! So if you have not read this I suggest you skip my thoughts! You've been warned! -Hermione become Minister of Magic and Ron being so....well Ron still. - I was always skeptical of the whole Ginny/Harry thing but after having read this and gotten a glimpse of their married relationship I'm a big fan now. -Going back to 1981. I 100% think JK Rowling needs to write books about Harry's parents and their years at Hogwarts. I am dying to know what made Lily go from hating James to falling totally in love with him in their 7th year. WHAT HAPPENED!!!! I need to know! -Scorpious. What a great kid. - Just being back in my favorite world. Even though I wanted more, it was still so special and amazing to be back in Harry's world. It will always be my favorite books. Always. - Not getting enough back story. I'm sorry I want more. I don't want just a script where we get flashes and quick explanations. I want detailed emotions and scenes and thoughts and descriptions. - I was a little confused why it was the middle child who felt so disconnected to Harry. Maybe it's because I'm the oldest and there is no middle child in my family and I just don't really understand "middle child syndrome". I dunno I just didn't get why there was such a disconnect between Harry and Albus and not Harry and James. Plus I think it's awesome that one of Harry's kids was in Slytherin. It goes back to how close Gryffindors and Slytherins really are personality wise. - Ashley is gonna hate me but I didn't really love the whole Bellatrix/Voldemort love child thing. Now I can see the argument, that maybe he did it so his bloodline would carry on and it was all just lust and not because he loved her. And I know Bellatrix would have been all for it because she was so obsessed and infatuated with Voldemort. But still I think Voldemort is too selfish for even that. Again just my humble opinion but there it is. Now my favorite of the 5 that I read was probably A Court of Thorns and Roses with Harry Potter and the Cursed Child coming a close second. This month I have several books that I'm hoping I'll get through but again with school starting next week, August may be a slow reading month for me. We shall see! 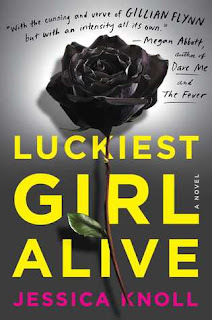 Luckiest Girl Alive is one of my least favorite books I've ever read-- I think I gave it one star because I disliked it so much on every level! 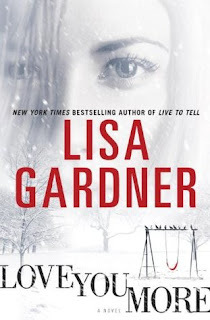 I've read a few Lisa Gardner books in the past, but haven't read anything by her in years! I hated Luckiest Girl Alive. Pretty much everything about it. That's rare for me and a book! i'm so cranky, i tried to scroll past the HP review but a line jumped out at me. raaaaaaaaaaaaaage. hahaha. not your fault, you warned me, i should have closed my eyes. Love your HP review and can totally relate to a lot of what you said. I think I went into it with the expectation of it not being anything like the other books. I enjoyed the play format but I definitely missed the details of a novel. I am a big fan though so being back in my favourite world for a couple of days was SO nice, even if it wasn't exactly 100% what I expected/hoped for. I too want more!!!! 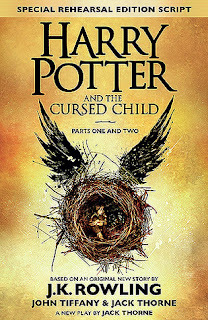 I am really curious about the HP book - I want to go back and reread them and then read the new one. On my Christmas list already! I'm so glad that you were able to find some new books to read from my Nook! I feel like I always end up buying some random books when they're super cheap and then sometimes I forget that I have them on there. I need to read some Sarah Maas! 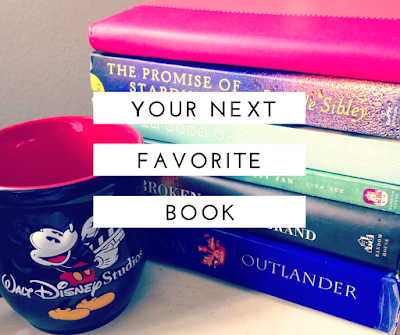 I promise I'm going to read Throne of Glass soon, so we can talk about it! 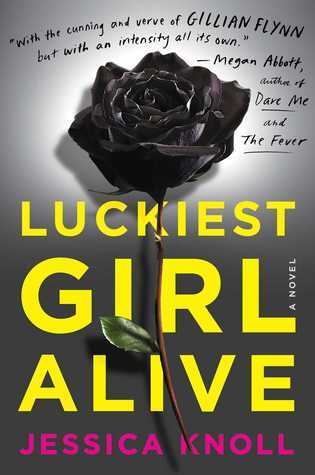 I also need to read Luckiest Girl Alive. I'll try to read both of those super soon so we can talk all about it! I agree with your points on the Cursed Child. While I have a middle sibling and have seen that syndrome, I felt Albus just came from being a completely different kid than the other two Potter children. Granted, I'm guessing that because they didn't mention James Sirius & Lily Luna a whole lot! 100% Give me the Marauders in a series. How did they make the map? How did they become best friends? Give me the story of them turning into illegal animaguses. The story of how Sirius comes to live with James. I feel the same about needing to see how Lily and James change drastically in courtship. Also a giant question mark in my head has always been, how Peter went from being so close to these boys then betraying them. There is a whole world that could be explored away from the Golden Trio. Loved your review and can't wait to talk more Harry Potter with you when I see you next month! I really want to read A Court of Thornes and Roses, I really love that author! I'm glad you said you had spoilers for the HP book, I'm starting it at work tomorrow. I've heard such mixed reviews and am definitely curious. I really like the D.D. Warren books-she is such a great character! 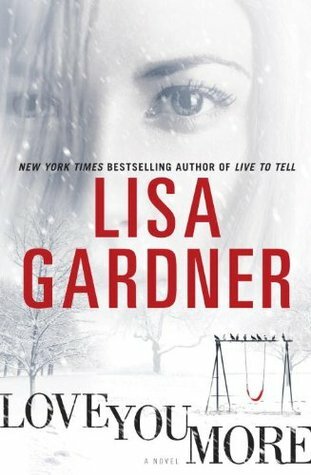 I know that I've read at least one Lisa Gardner book. I can't remember which one, but these two sound right up my alley so adding them to my TBR. Now to the real important stuff - Harry Potter. I loved it too. 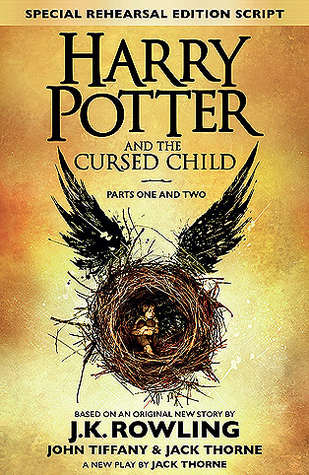 Like you, I would have LOVED a real book, but since I never dreamed that I would open a new Harry Potter book after Deathly Hallows, I will let it slide! So generous of me, I know. :) I loved little Scorpious so much. And I'm guessing he has a whole a lot of his Mom in him! The love child thing surprised me a bit. But since I do fully believe that Harry killed Voldemort, it makes sense that his child would be the new threat versus him coming back somehow. And Bellatrix makes the most sense. I don't think he loved anyone but himself but he would be the type who would want an heir. I've had Luckiest Girl Alive on my radar for quite a while. Then, I started seeing all the disappointing reviews. But, I feel like I kinda need to read it for myself to see what I think of it.